State-owned Ukreximbank (Kyiv) is raising $150 million from the World Bank to support Ukraine’s export-oriented small and medium enterprises (SMEs). 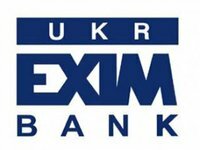 The bank said on its website that on June 26, 2017 Ukreximbank Board Chairman Oleksandr Hrytsenko and World Bank Country Director for Belarus, Moldova, and Ukraine Satu Kahkonen signed contractual documents under the Access to Long Term Finance Project: the guarantee agreement between Ukraine and the World Bank, the loan agreement between Ukreximbank and the World Bank and additional letters. According to the report, the World Bank is providing the sovereign-guaranteed loan to the Ukrainian banks for the period of up to 35 years. Ukreximbank will provide medium and long-term loans to finance investment projects and replenish working capital aimed at development of the exports potential of Ukrainian SMEs, including via Ukrainian commercial banks. The ultimate borrowers and project participant banks will be selected under criteria approved by the World Bank. The bank ranked third among 90 banks operating in the country as of April 1, 2017 in terms of assets (UAH 165.645 billion), according to the National Bank of Ukraine.